Microsoft will be taking the fight to Google’s Documents and Spreadsheets with their new Office Live Workspace software by taking a totally different approach. The main aim of Office Live Workspace would be to give web-connected users a no-cost place to store, share, and collaborate on Office documents, so you can forget about it being an online office suite. Microsoft is also generous enough to provide registered users with up to 250mB of storage space that allows them to store documents “in the cloud” or even “host” them for comments by other users equipped with just a web browser. Heck, you can even manage the access rights of other users if the need arises. One important point to take note would be this – you cannot create new Office documents nor can you edit documents beyond adding comments without having a copy of Microsoft Office installed locally. Looks like one way or another, you still need to pick up the traditional Microsoft Office if you want to take full advantage of its features. 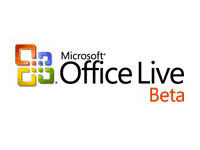 OLW will support Office 2003 and 2007 officially later this year, so if you want to have a piece of this action you can pre-register for the beta already.